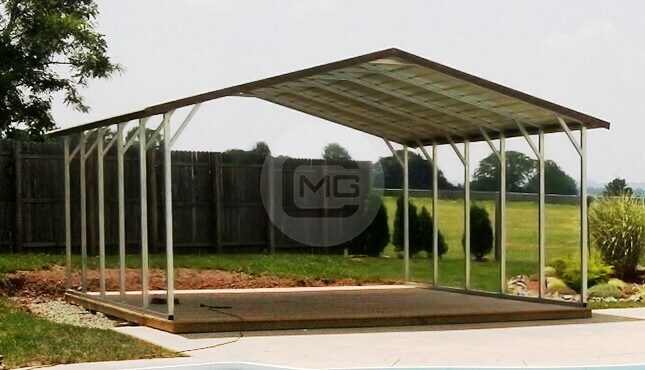 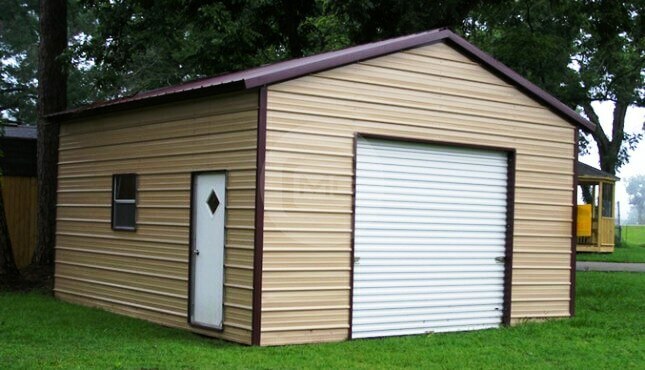 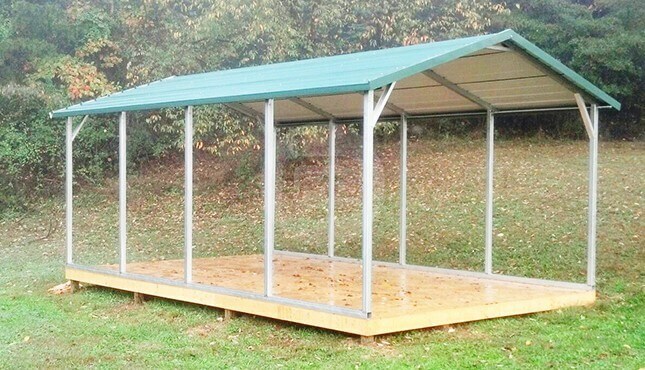 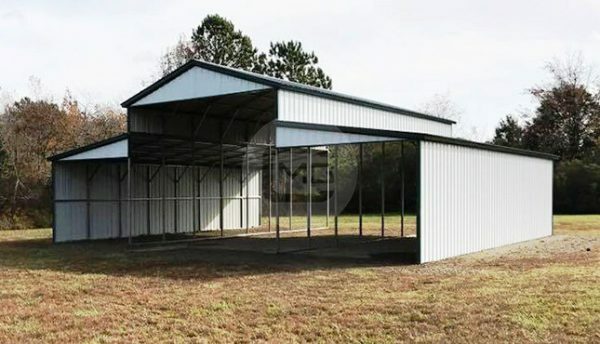 Standard Carolina Style Barn – 44x41x14/10 with Vertical Roof. 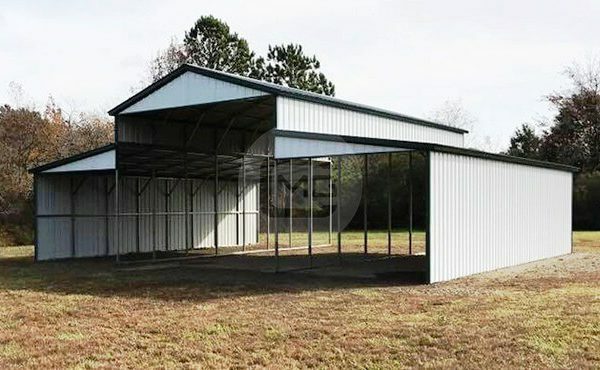 All the sheet metal for roof, sides and ends is turned vertical throughout this Carolina barn. 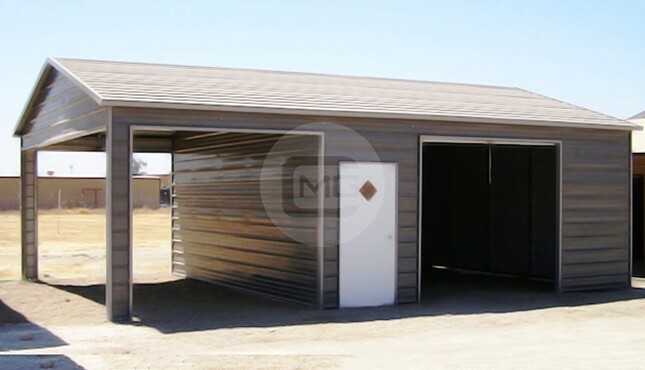 The center building is 20x41x14 Vertical roof has (2) vertical gable ends, (1) 3′ panel (vertical) where the lean-to is attached. 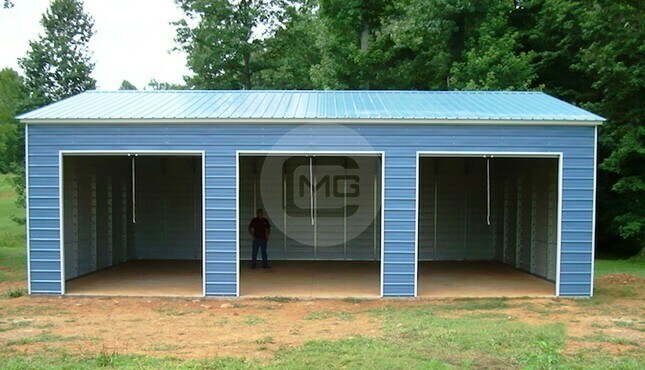 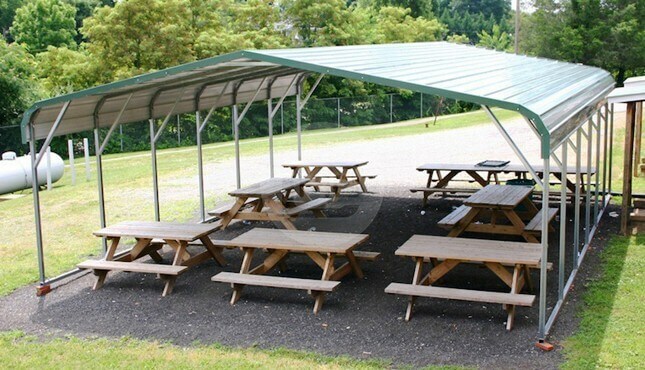 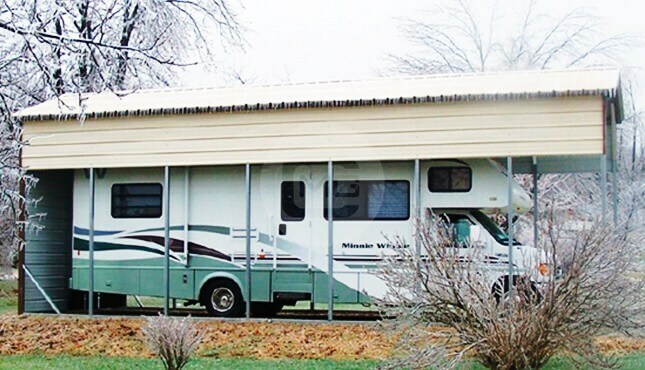 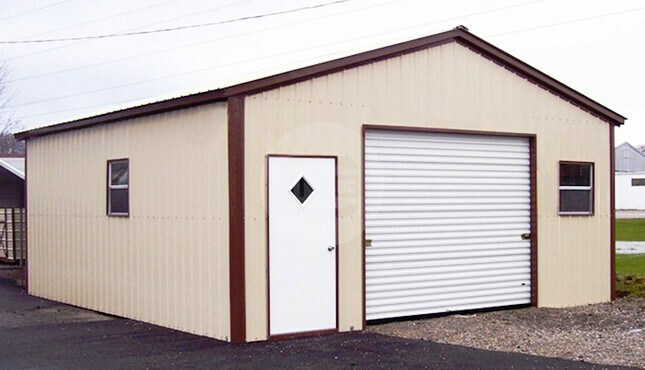 It has (2) 12x41x10 Vertical roof lean-tos with vertical gables on the front and back and both outsides of the lean-tos are closed.